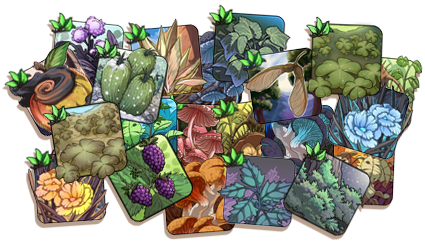 In the wake of the elemental surges throughout the realm, dragons everywhere are reaping the benefits of an unusually bountiful harvest season! 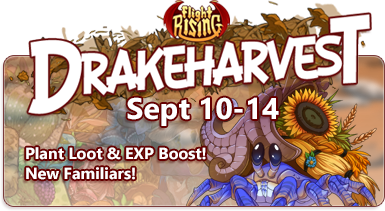 Drakeharvest, Flight Rising's first official "micro-holiday", is in full swing! From Monday, September 10th (06:00 Server Time) to Friday, September 14th (06:00 Server Time), all players will experience a couple of battle-related boosts! For the duration of Drakeharvest, all plant food items that drop as enemy loot will drop more frequently. Dragon clans everywhere are taking this time to stock up on fruits, veggies, fungi, seeds, flowers, and grains to prepare for the cold winter months. The prosperous harvest season doesn't come without its drawbacks. A common thieving species of crab has taken to the fields and foodstores in droves to make off with as much as they can carry! 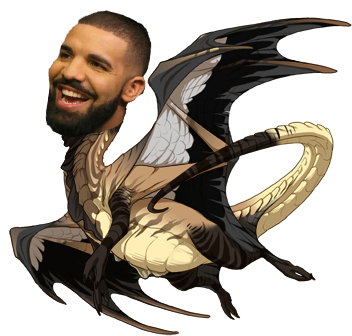 For the duration of Drakeharvest, these plucky familiars will drop fairly commonly in the Coliseum and rarely during Foraging. Once the harvest has concluded, they'll go back into hiding, but may run into one or two while Foraging. These tough land crabs don't give a lot of sustenance, but they're experts at taking it. Agricultural dragon clans view the prevalence of these landbound crustaceans as a double-edged sword: a bountiful season produces both a successful harvest and a rampant pest problem. A fix has been implemented that allows the usage of "<3" within comments on clan profiles. ASFKJHDLGJ YEAH BOI!!! 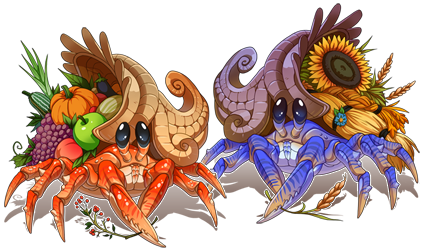 I desperately wanted more crab familiars so I'm super excited to see that we got more!! These will be perfectly fitting for my agriculturists and my lore. I really hope we'll have these mini-fests for each season and each food type. It would be amazing if next year you released a whole bunch of new food items for each event too! Maybe some themed apparel to come with that as well? :^) I just think we really need more items and apparel, and this is the perfect time for that. Well, time to train some fodder and gather a hec ton of food.